"Are you gonna sneeze?" US Speaker of the House Paul Ryan asked. Helping swear in 300 new congressman, Ryan had a long list of photographs to pose for - but wasn't expecting to be confronted with the "dab". 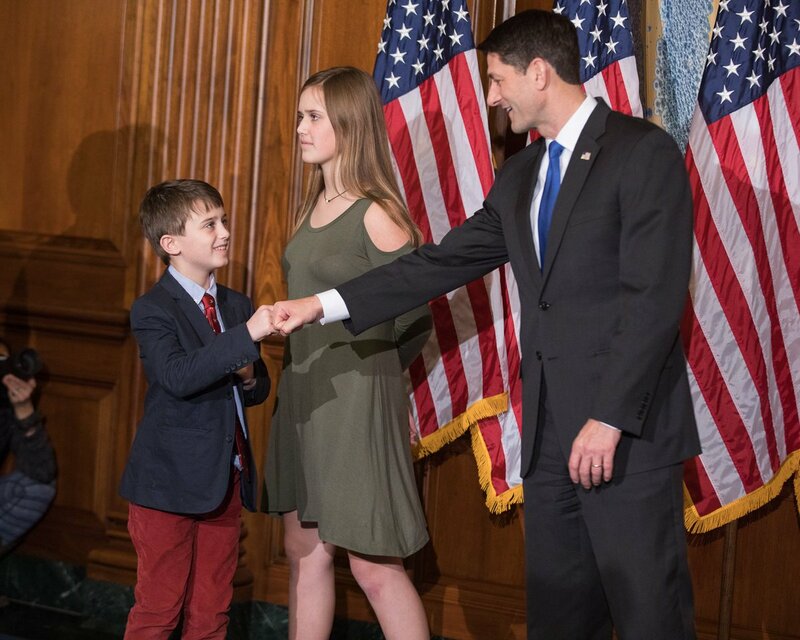 In fact, Ryan wasn't even sure what the dance craze was, so was left feeling confused when he saw the 17-year-old son of one new congressman "dabbing" in the background of a mock inauguration photo. The hip-hop dance move, a favourite of Manchester United star Paul Pogba, has now officially made its first appearance in US government. But, as Ryan says, he's still none the wiser. At the time, Ryan had been swearing in Kansas congressman Roger Marshall during the dry-run ceremony. Marshall’s son, Cal, put his nose to his elbow, and pointed his other arm in the opposite direction - dabbing. After asking Cal whether he was about to sneeze, Ryan insisted the teenager put his arm down. Cal is now "grounded" according to his father for the move, a craze that even Tom Hanks, LeBron James and Hillary Clinton have joined in with in the past. Fortunately for Ryan, the real ceremony is still to come.